Doubtful Sound is quite possibly the best experience I have had in New Zealand during my time living here. That’s it, I said it and I don’t regret it. I’m not sure if it was the sheer dramatic nature of a place so untouched by man or the moody weather that greeted us when we arrived that played with my emotions but something about the Doubtful Sound experience had a profound effect on my being. It started early, the day that is. Coffee in hand, huddled like penguins to shelter from the morning chill creeping its way around my boots. On board the bus we chatted the hours away through to Mossburn, more coffee, and homemade scones made the early morning start much easier. Manapouri was our first destination. We explored the shores before boarding the small vessel that would transport us to across Lake Manapouri to a land that had sat so high on my bucket list. It was becoming hard to contain my excitement. An hour later and the power station started to come into view, I’m easily pleased, I am. Especially when surrounded by water and mountains so the hour-long commute to the western arm of Lake Manapouri was an adventure in itself. I was already feeling emotional and we had hours to go. Doubtful Sound is the second largest Fiord down in the Fiordland national park, it is also three times longer. Deep cove is the head of the Fiord and where our coach driver was taking us. The vast wilderness was starting to unfold, I was able to catch snippets through the thickness of the trees lining the road. Our first glimpse of the sound happened soon after the rain started, at the top of the Wilmott pass. Dan, our driver opened the doors and I was out before anyone could process we had even stopped. The rain was adding to that famous Fiordland mood, making its way through the valley, only allowing us to see small parts of the grandeur unfolding below. It’s remote, it’s wild, it’s imposing, and the mountains draped in clouds had me itching to see more. As everyone settled to divulge in the picnic lunch I headed straight to the top deck. I wasn’t going to miss an opportunity to have that to myself. The mountains surrounding climb dramatically out of the water and lead us through the sound. As the boat sailed effortlessly through the black ocean, I enjoyed a moment of silence, a rare moment of solitude in one of Fiordland’s tourist destinations. One of the many phenomena’s here is the water. A few meters of clear fresh water on the surface appears black to the eye and provides the best reflections. This untouched land is impressive. For three whole hours, I was at a loss for words. The mountains, open water stretches, and the serenity were having an effect on my ability to process these moments as reality. As others started to appear on the deck, I took the time to explore the boat and chat to the skipper. Doubtful Sound put on a real show, giving us all four seasons, the rain pushed others inside and me out, giving me more time to appreciate the scale of this place, alone. The dramatic landscape gave me all the feelings of being utterly lost in nature. For three hours we sailed the sound, watching as the mountains developed around us and finding comfort in the silence. This was an experience like no other, I don’t think I have ever felt this way while on a tour before. Go Orange went above the rest to provide an experience that truly took us beyond. 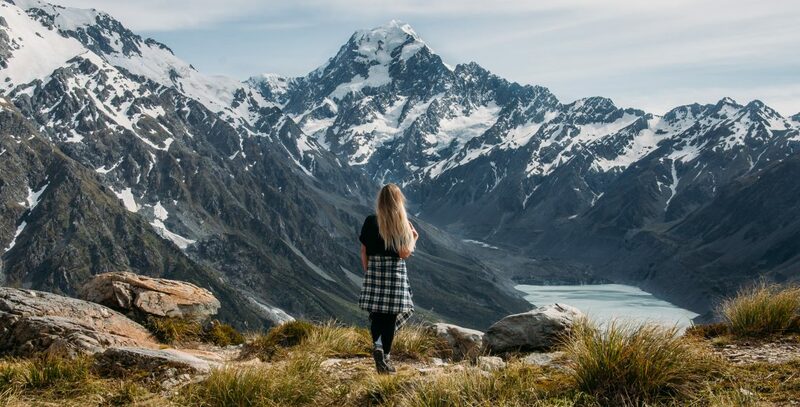 When people look for the must do, the ultimate bucket list destination in New Zealand most flock on the typical tourist trail. Destinations on that list are of course upon some of my favorites but here, right there in Doubtful Sound, nothing compared. I urge you to explore this place. Words, even photographs can’t really do justice to the magic that resides down there.